This week's Monday Map takes a look at the total property tax collections per capita at the state and local levels. 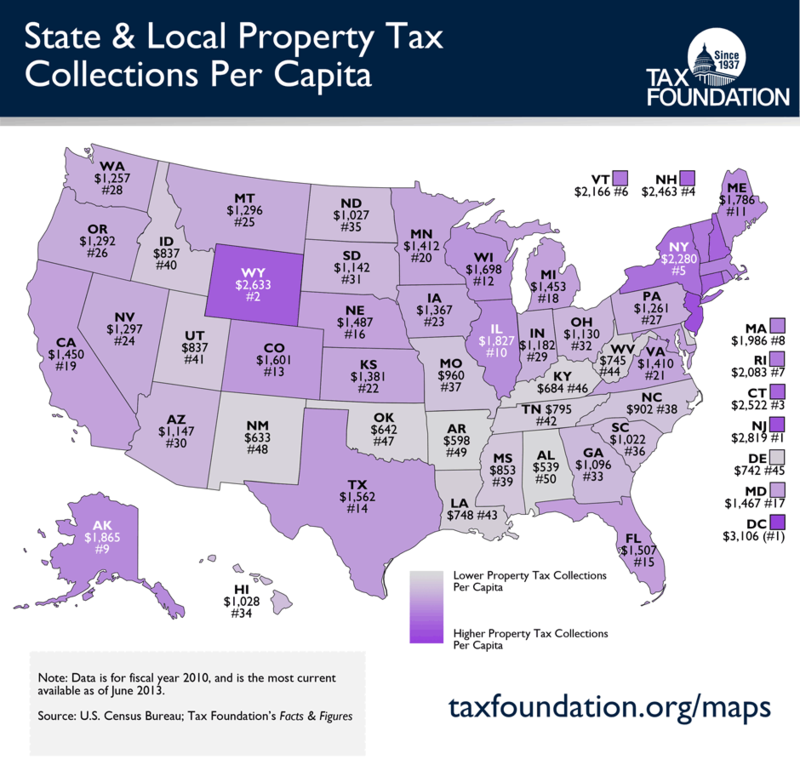 Coming in with the highest per capita collection rate is New Jersey at $2,819, and Alabama comes in at the other end of the spectrum with a per capita collection rate of $539. To see how property tax bills in your area stack up against other areas across the United States, please visit our property tax calculator.